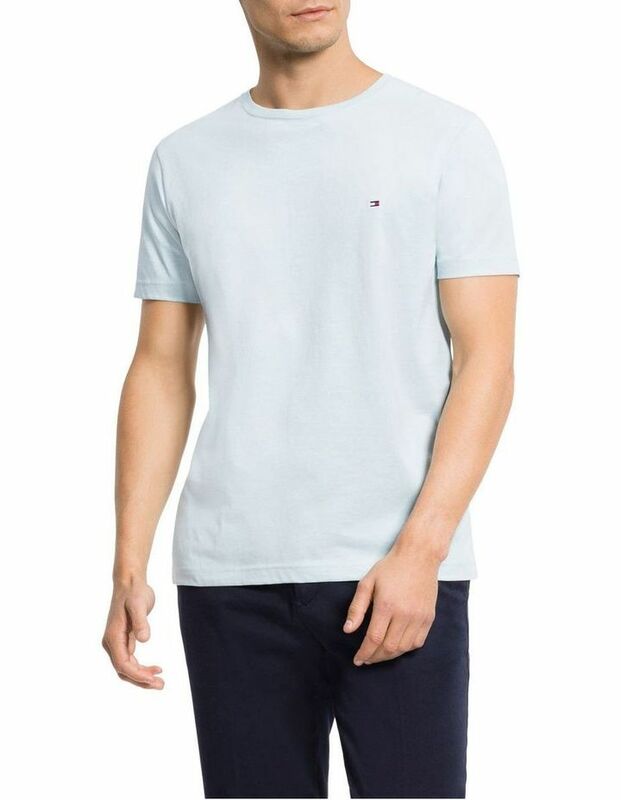 Keep it cool and classic in the Tommy Hilfiger Essential Crew Neck T-Shirt. 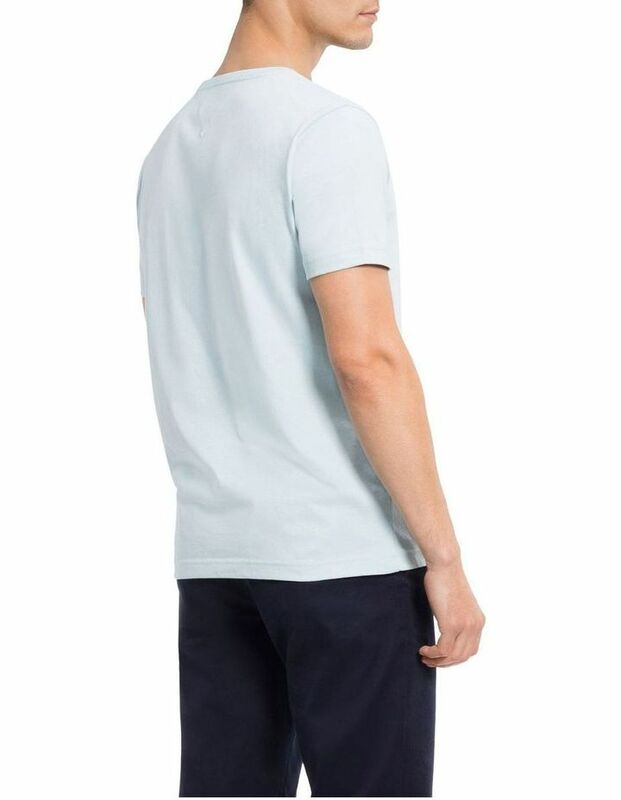 Rendered in a soft pure cotton, this tee is cut for a regular fit. 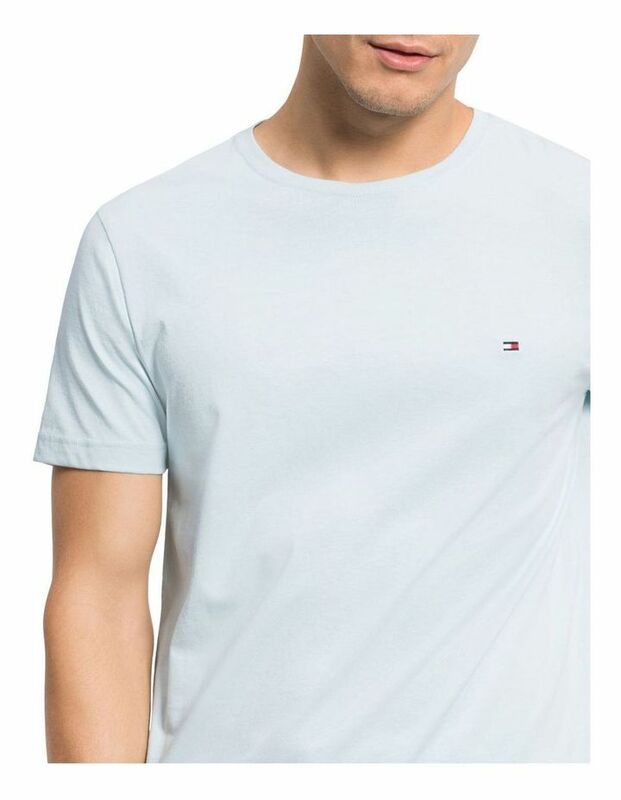 Signature Tommy Hilfiger taping appears inside the neckline and the iconic flag is embroidered on the chest.